You turn to Amazon for everything, so why not makeup? The online retail giant sells safe, nontoxic cosmetics — among a million other things. Below are the best natural makeup brands on Amazon. We’ve also highlighted our favorite products from each. It’s time to put that Amazon Prime membership to use! The mission of RMS Beauty goes beyond nontoxic beauty. The brand also wants to help heal and nourish your skin. The Buriti Bronzer uses buriti oil to moisturize the skin and make it supple. 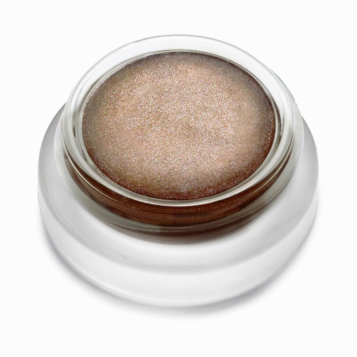 The bronzer blends in smoothly, and while it looks sparkly in the pot, it has no glitter to it when applied. Read my full review of RMS Beauty Buriti Bronzer. You may recognize Mineral Fusion from your local Whole Foods market. So you won’t be surprised to know that a wide range of their products is also available on Amazon, which now owns Whole Foods. Mineral Fusion is one of the most trustworthy safe-cosmetic brands out there. It is a leader in the EWG Verified program, with 131 licensed products. In order to be verified by the Environmental Working Group (EWG), a brand must meet rigorous verification criteria, like compliance with strict ingredient standards, good manufacturing practices, and robust labeling. As for their products, I’m really enjoying Mineral Fusion Liquid Foundation. It gives my skin a satiny, polished look. And it evens out my skin tone. Read my full review for Mineral Fusion Liquid Foundation. Juice Beauty uses certified organic ingredients and plant-based pigments. 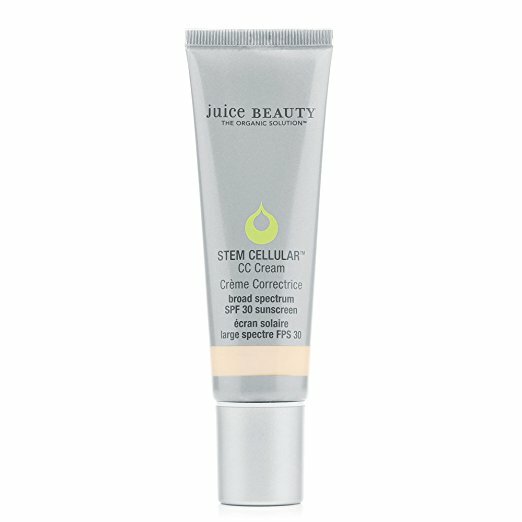 The CC Cream is a great choice for dry or mature skin. It also provides solid coverage, allowing you to skip a foundation. With both a makeup artist and cosmetic dermatologist behind the brand, W3LL People is dedicated to effective and quality products that perform just as well as mainstream beauty brands. Their Expressionist Mascara is great at lengthening lashes and doesn’t clump. 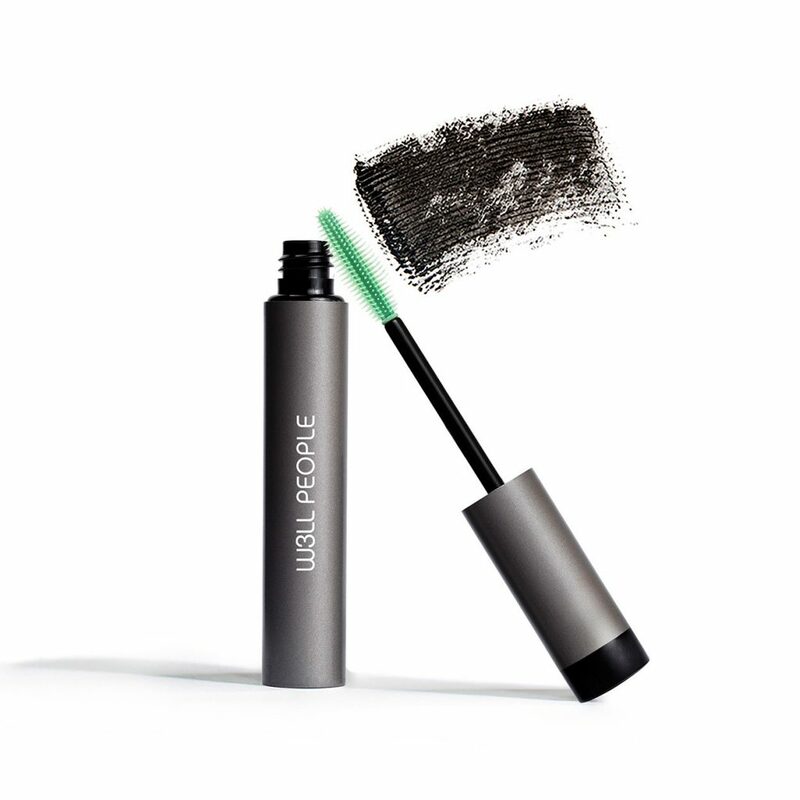 Read my full review for W3LL PEOPLE Expressionist Mascara in Pro Black. ILIA’s sleek packaging is made from recycled aluminum. The nontoxic products inside are just as thoughtful. I especially love the tinted lipstick in the “Bang Bang” shade. 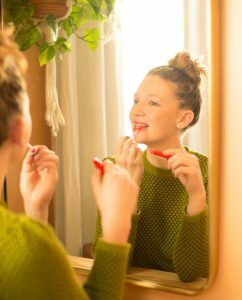 It’s a nontoxic, non-messy natural red lipstick every woman should have in her purse. 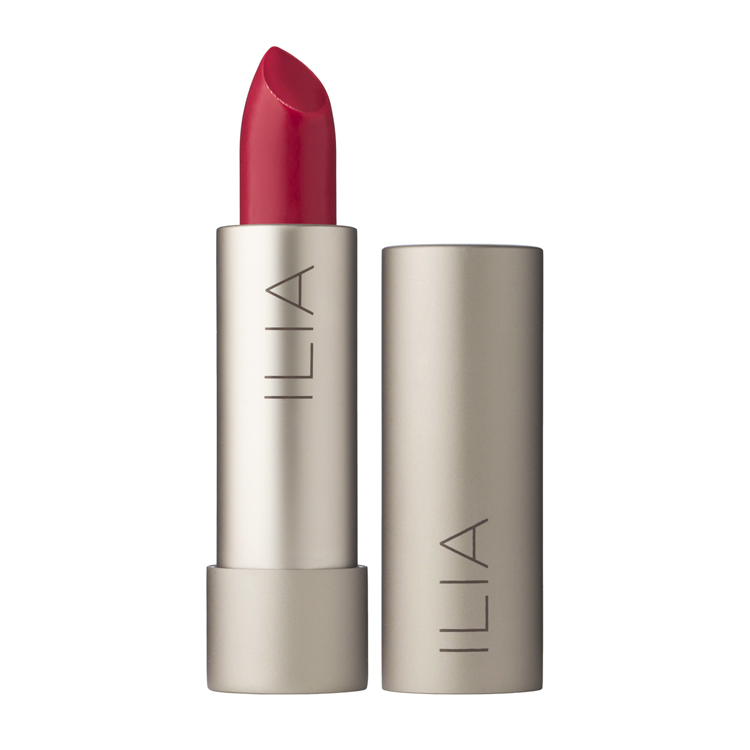 Read my full review of ILIA Beauty Tinted Women’s Lipstick. 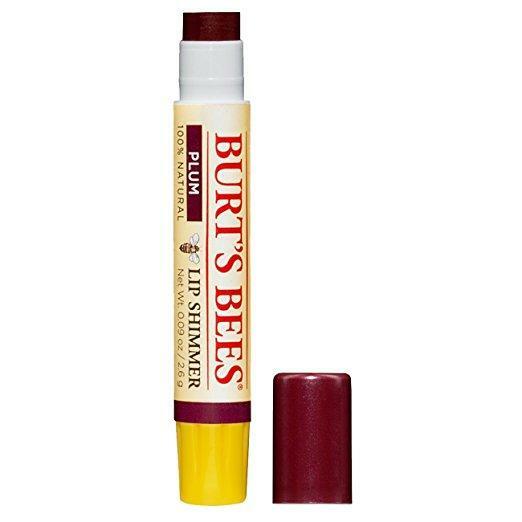 Burt’s Bees is an affordable cosmetic brand you can find just about anywhere, including Amazon. While not every product gets a 1 or a 2 on EWG (meaning some contain potentially worrisome ingredients), the lip shimmer checks out. When I wear a deep color on my lips, I worry about it cracking and wearing off unevenly throughout the day. Since this doubles as a lipstick and lip balm, I can wear a bold color with confidence. OSEA is a nontoxic skincare line inspired by Malibu, CA, and made in the USA. The high-end products contain organic seaweed concentrates, botanicals, and essential oils. Celebrity fans include Kylie Jenner, Emma Roberts, Shonda Rhimes, and Jessica Biel. I’m a big fan of the scent-free cleansing milk, which I use as a gentle makeup remover. I put it on my face before I brush my teeth and let it soak in. Then I gently wipe it off with a damp washcloth. It’s so moisturizing that it almost feels like a face mask.